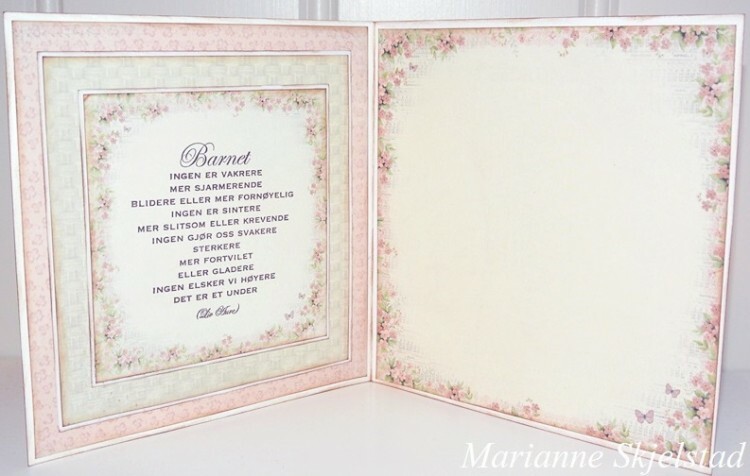 Today I have a baptism card for a baby girl to show you. I have used paper from the Sweet baby and Memory notes collections and it’s so nice working with all these different sizes of the papers. Oh, I love this card so very much…..